SIGN UP, SPEND £/€5 GET £/€20: You need this rid-donkulously cool app to your life. New players get a £/€20 bonus by spending £/€5, we nabbed a Which? Bingo award for the Most Socially Responsible bingo site, there are over 30 exclusive side games built it and you have access to a Newbie Room in your first 10 whole days. It’s rid-donkulous! THE COOL PARTS- FEATURES: Your username and password will work everywhere, so you can start a game on iPhone, finish it on desktop and play a side game on your iPad (or you could just sit down and focus on one bloody device for god sake). 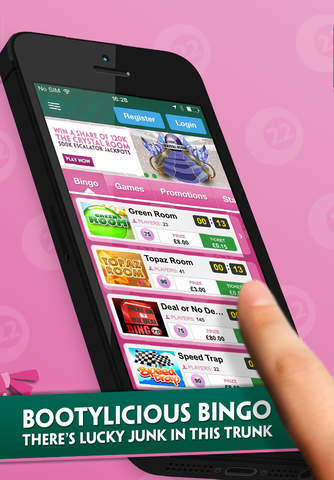 Bingo •	Free Newbie Room for 10 days •	Over 20 real money Bingo Rooms •	Pre- buy tickets and never miss out •	90, 80 and 75 ball jackpots up to £1 million •	Deal or No Deal and Who Wants to be a Millionaire •	Exclusive, invitation only bingo rooms Games •	The world’s favourite side games •	+40 games exclusively made for Paddy Power •	Paddy’s Lucky Pigeon side game •	You name the game we’ve got it THE RID-DONKULOUS PARTS- PROMOTIONS: •	Monthly mobile only offers- Sssh! •	Star Reward loyalty programme •	Cash in loyalty points for bonuses •	Daily £/€10,000 Bingo Linx •	Weekly BOGOF promotions •	£/€250,000 Paddy’s Pay Day jackpot. THE SCIENCE- COMPATIBILITY: •	Download onto your iPhone or iPad •	Play over 3G or Wifi •	iOs7 compatible NEW PLAYER BONUS TERMS AND CONDITIONS •	This offer is only available to new members registering at Paddy Power Bingo for the first time or for existing Paddy Power customers who have not played Paddy Power Bingo before. Existing Paddy Power Bingo customers are not eligible for this offer. •	This promotion is open to consumers over 18 years only. •	This promotion is only open to residents of the UK and Ireland only. 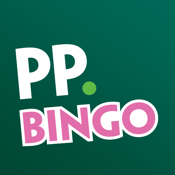 •	Consumers must stake a minimum of £5 / €5 cash on Bingo games within 48 hours of creating their chat name to trigger this promotion. •	The bonus is only paid on Bingo stakes; stakes on side games do not count towards the staking requirement •	Bonus staking does not count towards releasing sign up bonus. •	Your bonus can only be used to purchase Bingo tickets. •	Your free €/£20 will be available for 30 days from date of crediting and removed from your account if not used within this time period. •	The offer is only available once per customer. Customer found to be signing up for multiple accounts to redeem the bonus will have their accounts closed and any winnings will not be paid out. •	The promotion is not open to employees of Paddy Power, their families or anyone connected with the promotion. •	Customers found to be abusing the spirit of the promotion may have their accounts suspended or closed. •	Participation in this promotion will be deemed to constitute full and unconditional acceptance of these terms and conditions. •	We reserve the right to modify, alter, discontinue or terminate this promotion at any time for any reason without notice to players. •	Offer valid from 00.01, 2nd September 2013.